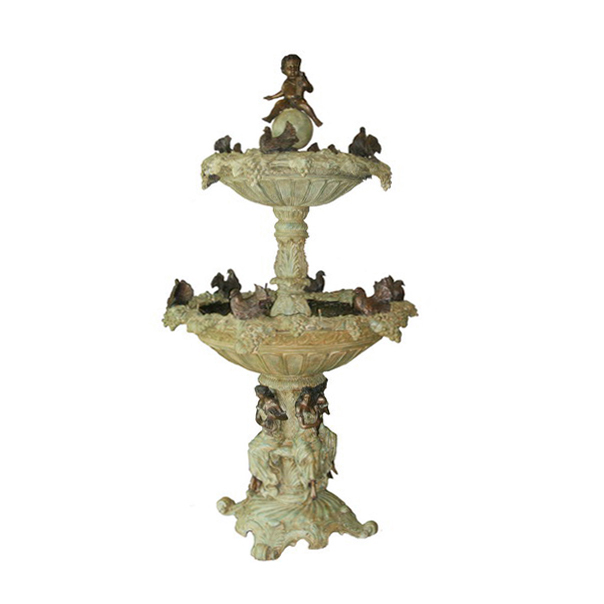 Bronze Boy with Pigeons Tier Fountain | Metropolitan Galleries Inc. 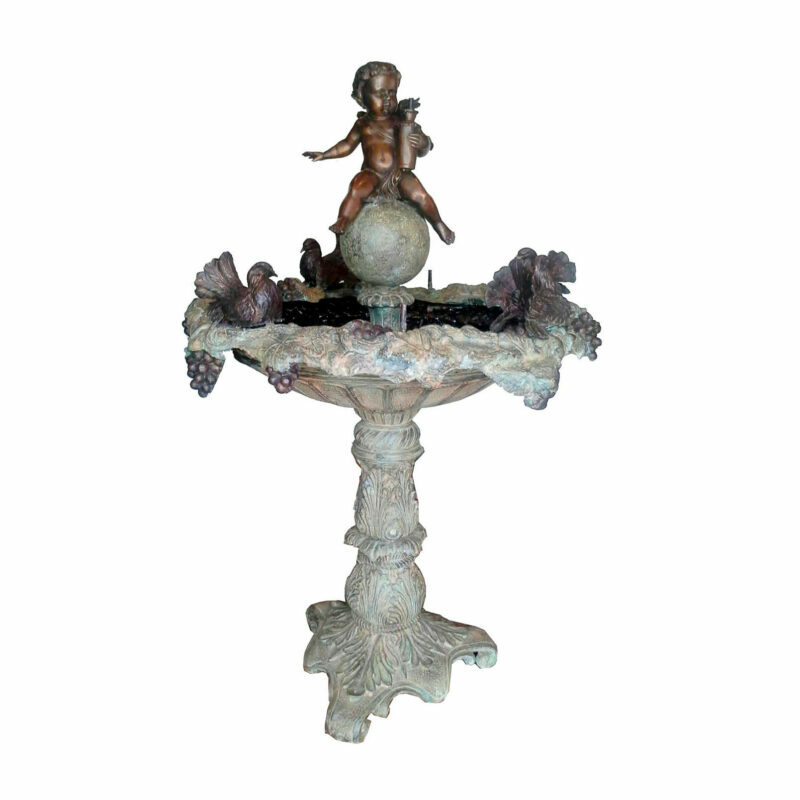 Bronze Boy with Pigeons Tier Fountain by Metropolitan Galleries was cast by the traditional, Lost Wax Bronze Casting method. This labor intensive and time consuming method of casting bronze statues, ensure pristine quality and vivid detail. 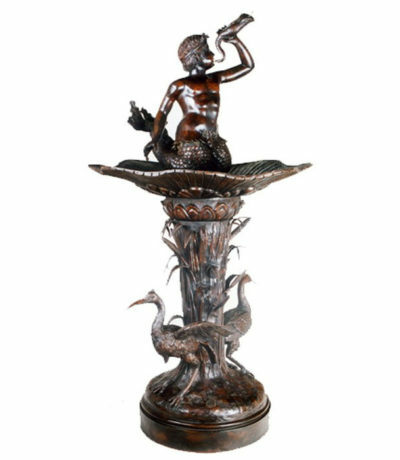 Metropolitan Galleries offers a large selection of bronze statues and bronze fountains perfect for indoor and outdoor use. 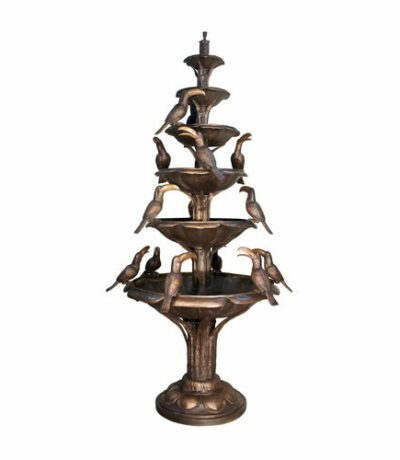 This Bronze Boy with Pigeons Tier Fountain features intricate, hand forged details with a beautiful verdigris and brown, fire-applied patina. We proudly ship to all fifty states, as well as international shipping. 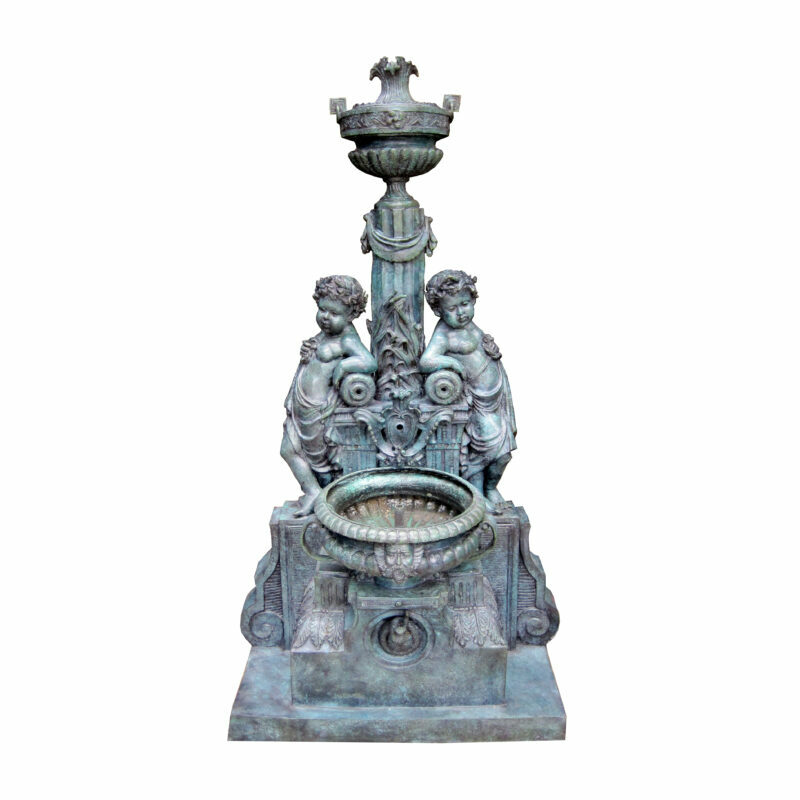 Our bronze sculpture and fountain selection may also be customized in a number of fire-applied patinas, such as classic French Brown, Verdigris, Italian Green as well as other custom finish options. All bronze statuary will develop a natural patina when left in natures elements. The aged patina on bronzes is often desired, but can be prevented by care and cleaning of the bronze statue by applying beeswax or other polish to prevent a patina from forming. 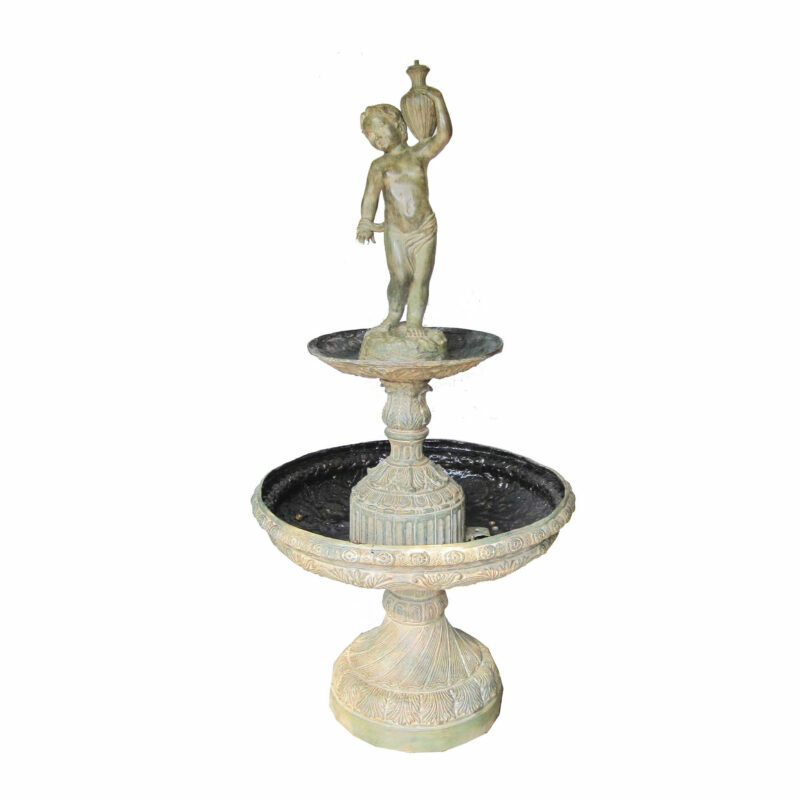 Click here to view our Bronze Sculpture and Fountain Care and Cleaning Guide. 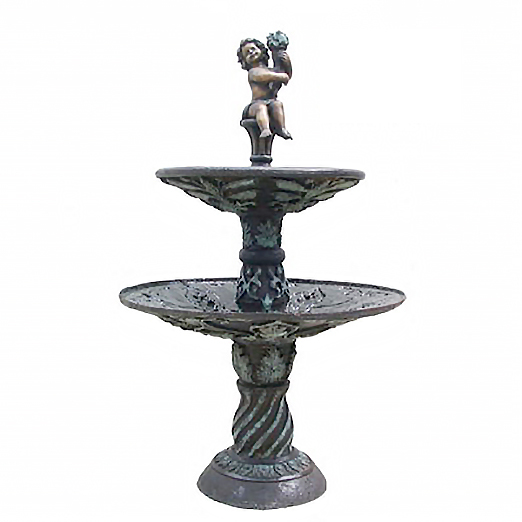 Should you have questions about this Bronze Boy with Pigeons Tier Fountain, please reach out to our corporate office and warehouse. 1-800-929-1681.